Karnataka Power Corporation Limited has entered into an agreement with the Singareni Collieries Company Limited today for supply of 81 lakh Tonnes of coal this financial year. This MoU is signed by higher officials of both the companies in the presence of Sri N. Sridhar, IAS, C&MD, SCCL and Sri Kumar Naik, MD, KPCL. 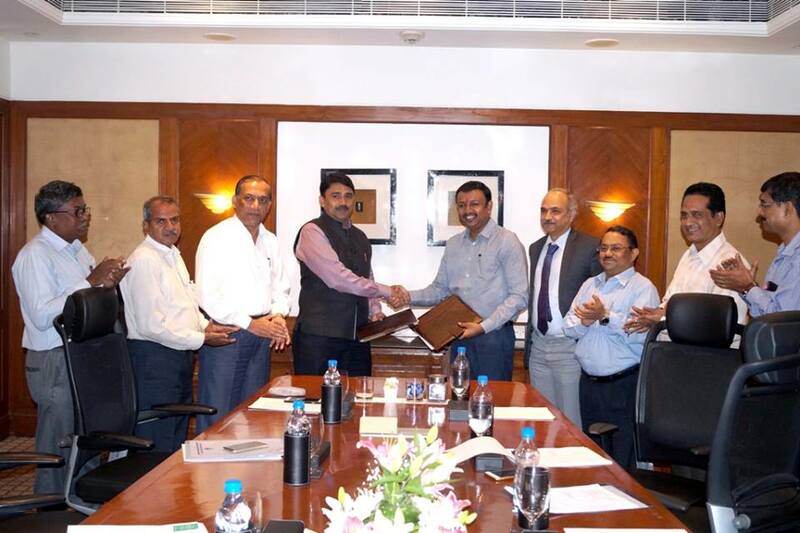 With this agreement, SCCL will supply a total of 81 lakh tonnes of Coal to KPCL during this financial year out of which 30 lakh tonnes will be supplied to Raichur Thermal Power Station, 20 lakh tonnes to Yerramarru Thermal Power Station and 31 lakh tonnes of coal to Bellary Thermal Power Station. From SCCL, Executive Director (Coal Movement) Sri N. Srinivas, GM (Marketing) Sri B. Kishan Rao, DGM Sri NVK Srinivasa Rao and from KPCL, Director Technical Sri P. Bhaskar, Director Finance Sri Nagaraju, EE (Fuel) Sri Yathiraju have participated in this meeting.